Due to scheduling conflicts, the only location I was able to find to hold the event was my group’s meeting space. I lined the first nine pies up on our lunch table, along with 50 preprinted evaluation forms, paper plates, and a fork. The co-winners were King Arthur Flour’s “Golden Pumpkin Pie” and David Page and Barbara Shinn’s “Honey Pumpkin Pie”, with Joanne Chang’s “Super-Pumpkiny Pumpkin Pie” rounding out the top three. 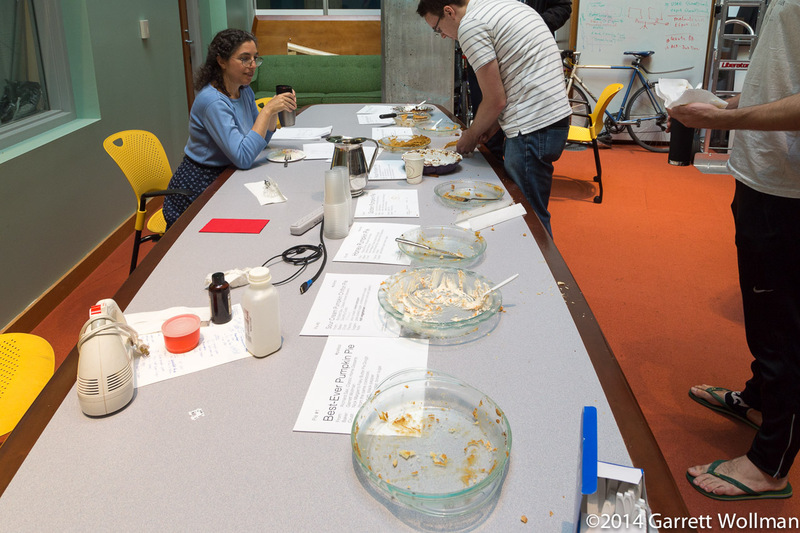 For the full evaluation data set, see the pumpkin pie fest page on our Tasters wiki, which includes details for each pie as well as a CSV file with all of the evaluations. They are presented here in the order they were laid out for the tasters. 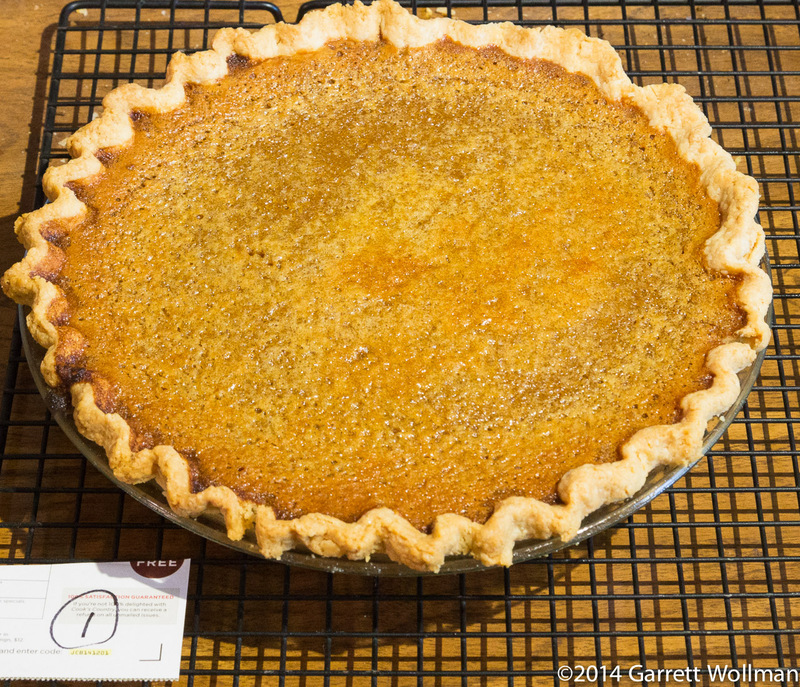 Perhaps I biased the tasters a bit by putting this pie first in line, right next to the evaluation forms, and putting the title (“Best-Ever Pumpkin Pie”) on the label, but most tasters did not agree that it was the “best ever”. A number noted the dark rum which is a principal flavoring ingredient. 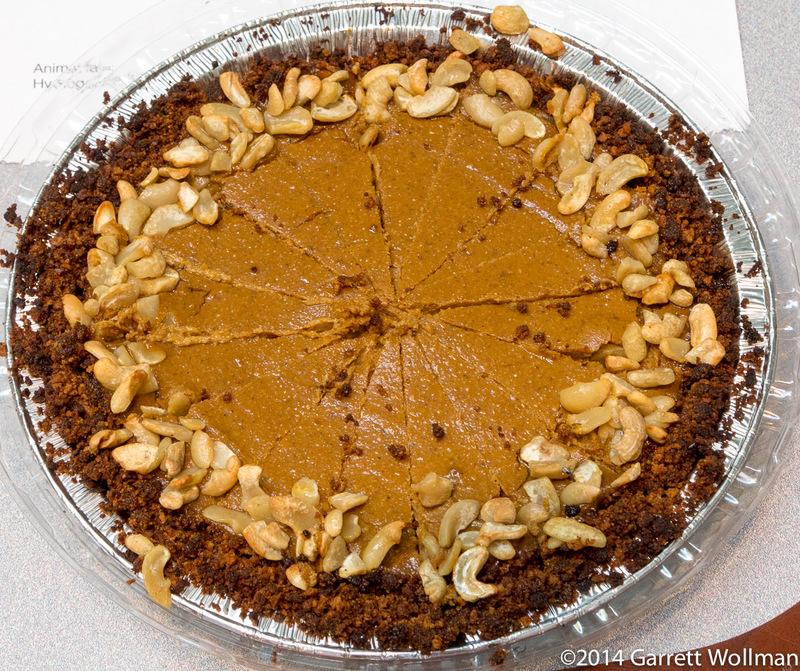 This pie was ranked third on filling texture and fourth on pumpkin flavor, but tasters thought it was slightly too sweet and equally too spicy, and placed it seventh overall. The crust was given particularly poor marks — even worse than the other pie I made from the same batch of crust; I’m inclined to attribute that to Sax’s odd and inadequate blind-baking procedure. Dorothy asked me to suggest a recipe after she could not find the recipe she had liked previously; I photocopied the Sour Cream Pumpkin Chiffon recipe and a crust recipe from Richard Sax’s Classic Home Desserts . 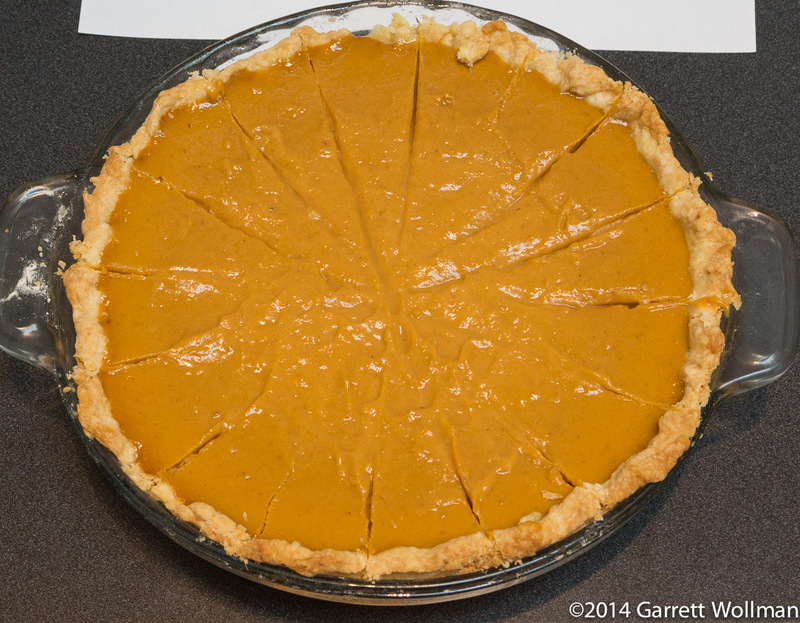 As a chiffon, this pie had a much lighter texture than all of the other pies (being custards), which some tasters quite liked, but it was considered only average on pumpkin flavor and underspiced overall. 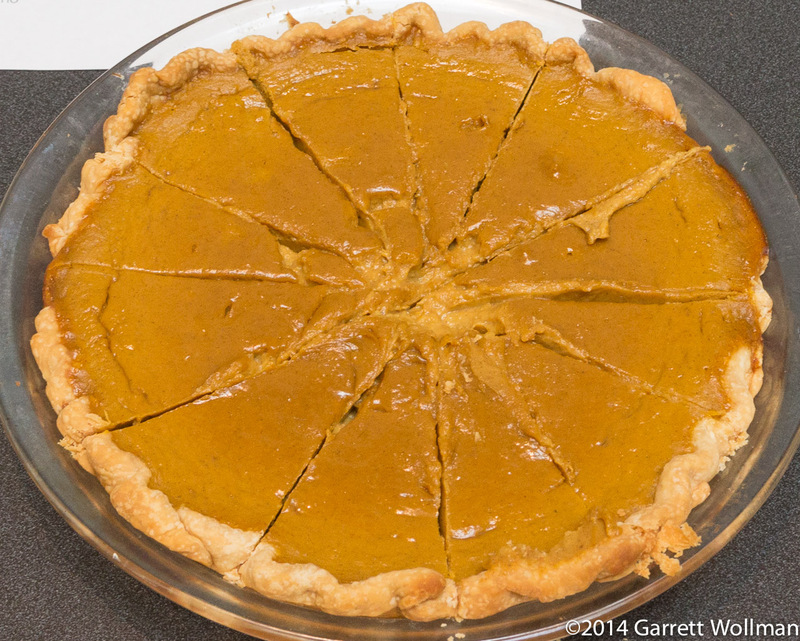 This pie was a surprise co-winner with King Arthur’s “Golden Pumpkin Pie”. 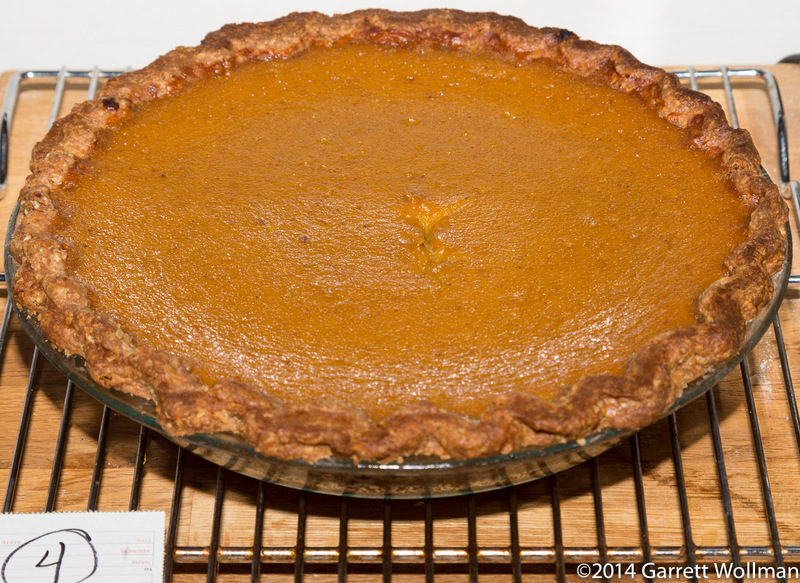 It shares the same crust (attributed by Richard Sax to Nick Malgieri) as Richard Sax’s “Best-Ever Pumpkin Pie”, but was ranked significantly higher on crust texture than Sax’s pie despite not having been blind-baked. 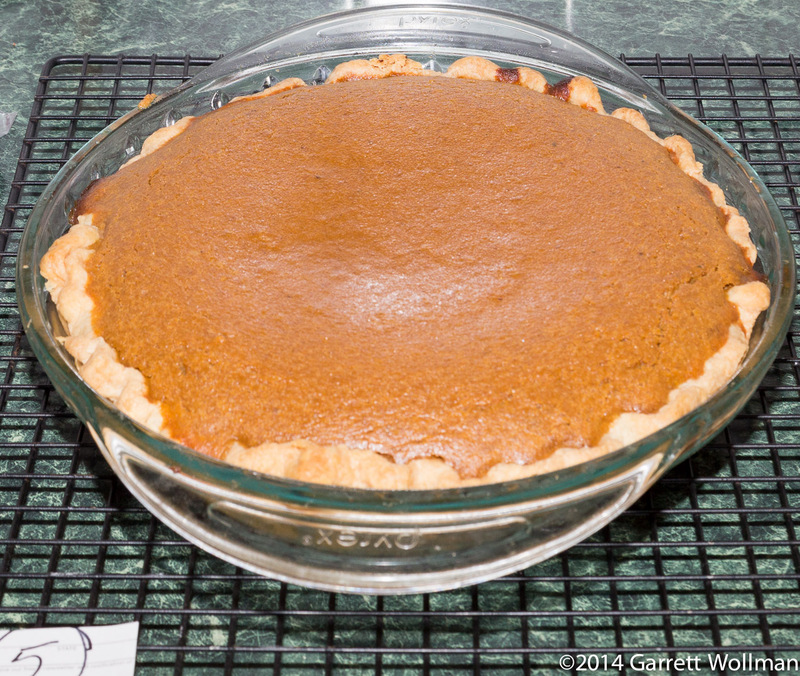 Although this recipe is called “Honey Pumpkin Pie”, honey is only one of three sweeteners in this pie (the others being granulated sugar and light brown sugar, in equal amounts by volume with the honey), and the two tasters who evaluated this pie both ranked it as too sweet despite giving it top overall marks. It was tied for first also on the spices scale, where it ranked equal with the King Arthur pie and with Sue Felshin’s “Scratch Pumpkin Pie”. It also received the highest possible rating (5.0) for filling texture. One caution is that only two tasters evaluated this pie, so there is a great deal of uncertainty in all of the rankings. This pie, from King Arthur Flour Whole Grain Baking , received the highest overall ranking, and received the best average marks in every category except filling texture. 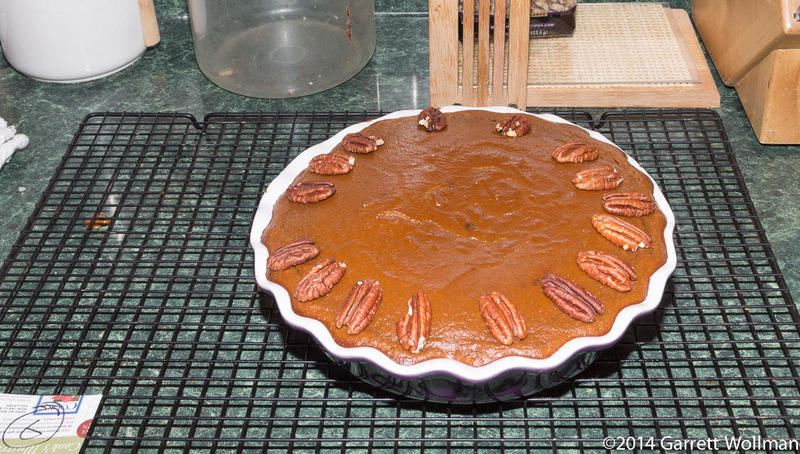 It has a sweet-and-spicy whole-grain crust (ground rolled oats, whole wheat, brown sugar, cinnamon), which was not blind-baked, and the pumpkin custard is sweetened entirely with honey (more than half a pound of it). It was also one of my personal favorites (which were closely matched by the overall rankings). I made this pie based on a recipe from the Moosewood Restaurant Book of Desserts . Moosewood is a famous vegetarian restaurant in Ithaca, New York; not being a veggie, this is the only one of their cookbooks I have. 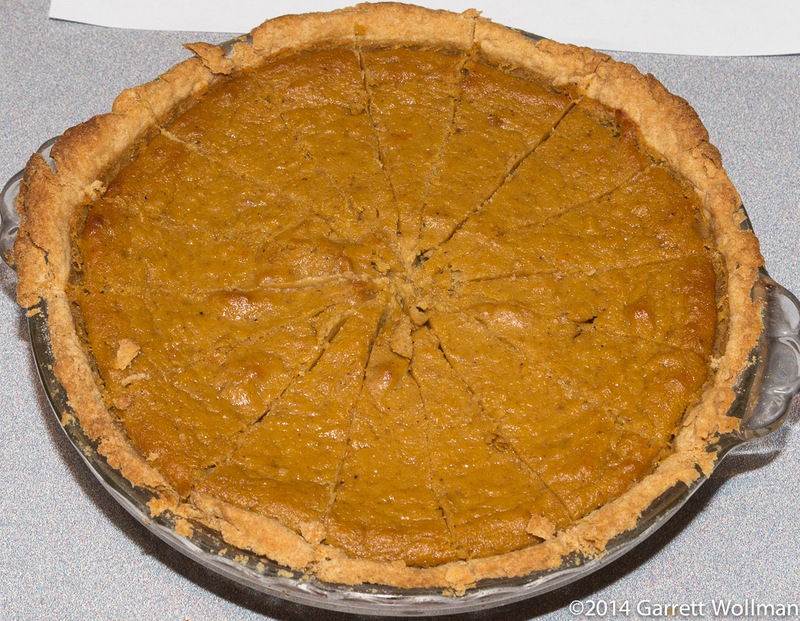 As I noted in Pumpkin Pie Fest part II: the pies, this pie had a number of issues related to the size and shape of the pie plate and the way in which it was cooked; tasters were not impressed, rating it too sweet, too spicy (it had half a tablespoon of ginger! ), and overall in ninth place out of the ten pies for which more than one evaluation was received. A number told me that they wanted to like this pie, but were turned off by its flaws, particularly the overspiced pumpkin custard. This was the pie I really wanted to like, but didn’t — and neither did the tasters. I’ve made a number of pies from the Four & Twenty Blackbirds Pie Book by now, and all have been big hits with those I shared them with. This one, not so much. The crust was ranked fairly highly (which I would attribute to the more forgiving formula, which includes cider vinegar, as well as the egg-white glaze applied during blind baking which keeps the crust from sogging out during the long baking time underneath a wet custard filling). That custard, however, was considered both much too sweet and insufficiently spicy, and overall, this pie placed ninth. I suspect there is a better pie here than what I was able to make; I think the butterscotch in particular, which is the source of most of the sweetness, could have been more caramelized, leading to a deeper and less sweet custard; I also suspect the carrot juice didn’t really add much of value to this pie, given that it was already sweet and pumpkin-colored. This pie, from Joanne Chang’s Flour cookbook, was a bit of an enigma. Tasters thought the crust (which is enriched with egg and fully blind-baked, unlike all of the others) was only slightly better than average, but gave the custard top marks for pumpkin flavor and fourth place for texture. However, tasters thought that the custard was too sweet and rated it poorly on spiciness (both common complaints with Joanne Chang’s recipes). 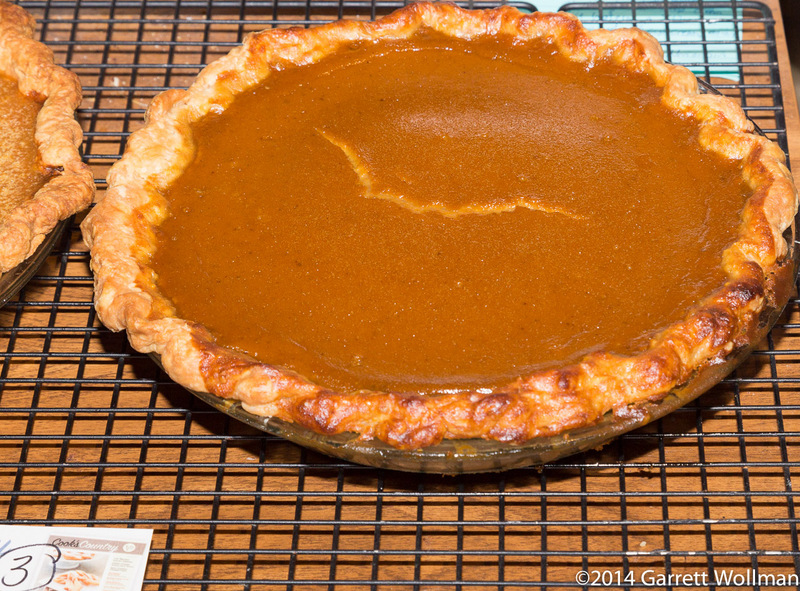 Sue’s pie was made entirely from scratch, including the pumpkin purée, following a recipe of her own invention. Tasters thought the custard was a bit on the light side, and the crust texture left something to be desired. 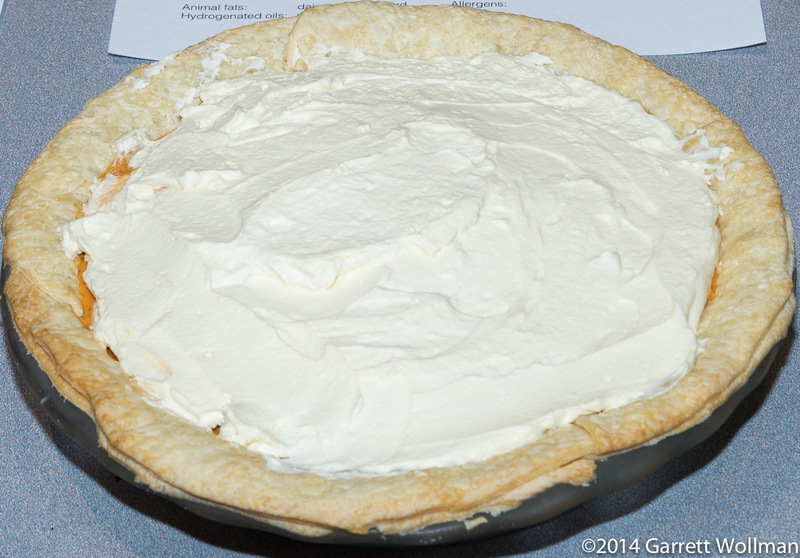 Tasters did, however, rank this pie tops (in a tie with two other pies) for spices. Only one evaluation was received for this pie, which was made with silken tofu and cashew butter in place of the usual custard ingredients of egg and dairy. The gingersnap crumb crust was considered too loose, although one person suggested that it would be good in some other application (I suggested a topping rather than a base). Nick’s recipe is on the Web. No one evaluated this pie, unfortunately. It was baked by Jason Miller using a Cook’s Illustrated recipe from 2008, but the custard was insufficiently cooked (which may have scared off some potential tasters). I personally thought it was pretty good, but no better than several of the other pies. This recipe calls for (canned) candied yams in addition to the pumpkin purée to give the custard extra body and pumpkiny color. Patrice was not able to attend the event in person but brought a pie anyway. Hers was based on a New York Times recipe, and as the name suggests is flavored with brandy. 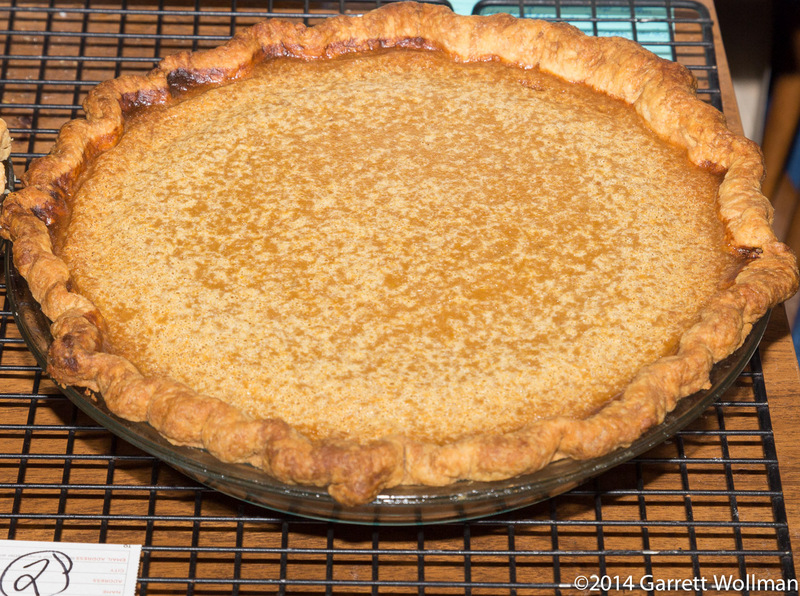 Patrice used a store-bought crust from Pillsbury, which was ranked fourth overall for crust texture; tasters also ranked it highly on pumpkin flavor and sweetness, but thought that it needed more spice. 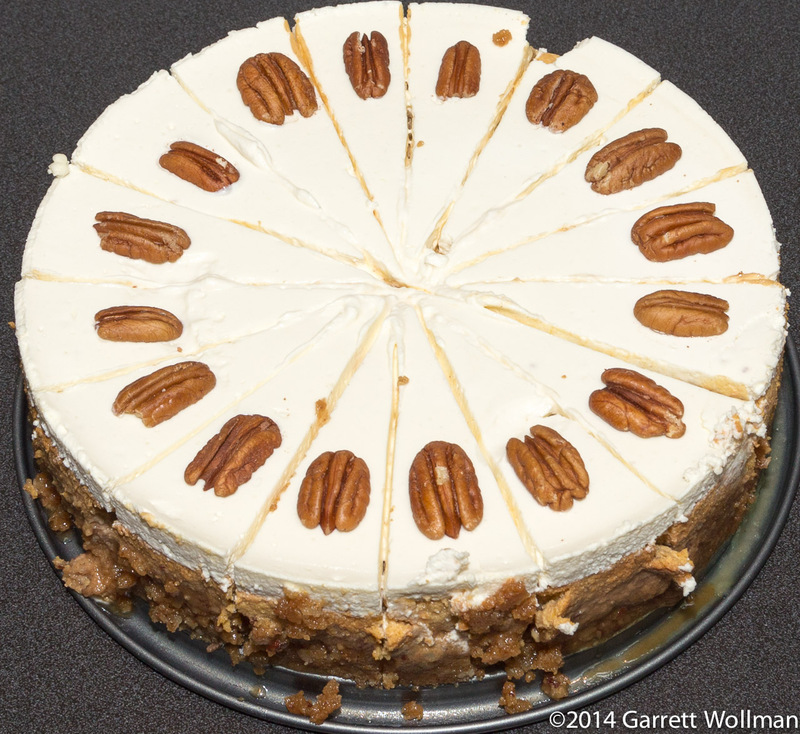 Gallery | This entry was posted in Food and tagged pie, pumpkin pie, Pumpkin Pie Fest. Bookmark the permalink.